Professional project manager with 25+ years’ experience managing, designing and implementing innovative design and construction projects within office environments together with a strong portfolio of interior design, construction and refurbishment projects across commercial and government organisations. With extensive knowledge of complex corporate fitouts, including Activity Based Working (ABW), Audio Visual implementations and fast tracked multi phased projects, I have successfully completed many major office fitouts in Australia and the UK. I have high quality standards and a focus on customer service; have twice won the Master Builders Excellence in Construction Award; and have had my works published several times. With expertise specialising in project management and interior design, I have unique expertise and intricate fitout knowledge ranging from concept planning and design development through to implementation, handover and occupation. I lead projects integrating all aspects of the fitout process, from business case and project plan development to managing the design, tendering, procurement and construction activities. I have a wealth of knowledge, diverse industry contacts, dedication, active project involvement, high attention to detail and with high standards guaranteeing project success for my clients. View Chris Rumbles' profile on Linkedin. Qualifications & Training Associate Diploma of Applied Science (Building), Building Surveying, Master Project Director (MPD), full pre-qualification TfNSW Performance and Management Services – Project Management. Business Case Development Outlining key project goals and objectives, business requirements and CAPEX to obtain project approval and funding. Project Management Understanding project plan development, time and cost planning, consultant coordination, authority approvals, value engineering, quality management, procurement, code compliance, construction management, and defects management with a strong attention to detail are essential ingredients. Leadership integrating multi-disciplinary project teams consisting of designers, architects, engineers, authorities, principal contractors and interface contractors and ensuring their roles and responsibilities are being effectively carried out. Communication highly developed written and verbal skills with strong presentation skills and proven success preparing business cases, conceptual design, tender documentation, contract administration and client reporting. Master Planning comprehensive strategic planning considering all phases of the project end to end. Procurement Government tendering and solid understanding of NSW Government procurement guidelines and probity. Contract Administration experience managing Head Contracts ranging from Government Construction, Australian Standards and Master Builders. Interpersonal consultative approach with proven success liaising, delegating and negotiating with multi-disciplinary stakeholders. Customer-Focused highly recommended by past clients with a strong focus on client satisfaction. WHS and environmental legislation commitment to safe work practices, current Construction Industry White Card. Client Representation Intimate understanding of all processes in the industry to fast track and streamline project completion. Cost Planning Robust cost plan development that thoroughly scopes all project activities to enable comprehensive direction for design development. Scheduling Thoroughly scoping project activities and the sequence of events to ensure milestone achievement. Design Management integration of all consultant services with project stakeholders to produce cost effective design solutions to suit business requirements. Value Engineering implemented during the design phase, this is a problem-solving process based on function analysis to help determine cost effective alternative solutions where required. Integration appoint and integrate client-side interface contractors such as Audio Visual, ICT and security contractors into the construction program. Risk Assessment undertaking risk workshops studying the probability, the impact, and the effect of every known risk on the project, as well as the corrective action to take should that risk occur. Authority Approvals coordination of landlord, engineer and council approvals to ensure designs are approved swiftly and designed within building constraints and BCA compliance. Construction Management monitoring project implementation by way of site inspections, contractor management, leading PCG meetings, continually updating the program and cost plan. Meetings chair and minute weekly Project Control Group meetings with Principal Contractor and design consultants to ensure all roles and responsibilities and being met throughout the project and resolve open issues. Contract Administration determining appropriate contracts, managing the tender process, tender review, assessment and award, progress claims, variation approvals, RFI’s and Defects Liability Period management. Defects Management manage the design consultant’s inspections of the finished product to ensure finished product is in compliance with the design and functioning accordingly. Commissioning & Testing ensuring consultants and contractors provide accurate As Built drawings and council documentation in compliance with the code and that implemented systems are tested and functioning as they were designed. Safety ensuring appropriate WHS management plans are in place and managed accordingly. 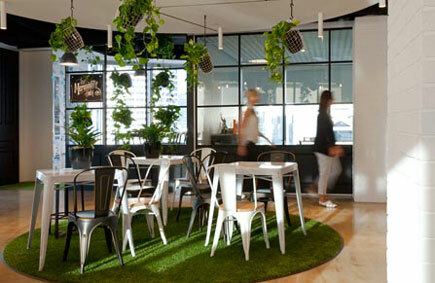 Award winning interior design and office fitout company that has grown organically since its inception in 2002. IDPM specialises in high quality, cost effective, personalised solutions that provide either complete office fitout solutions or single discipline interior design and project management services as required. Refurbish the Joint Operations Centre facilities to provide a more efficient, modern and user-friendly space. TMC essentially required a full upgrade of the critical Audio-Visual systems that manages planned and emergency events throughout Sydney. 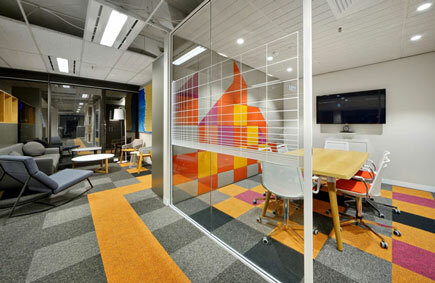 The requirement was to integrate all the AV systems: Video conferencing, smartboards, speakers, TVs and video walls into the fitout but also required full design development and implementation of custom code software to enable full automation of the space and control of TfNSW CCTV’s cameras throughout NSW by portable tablet control. Developed and integrated custom code software and associated equipment into the fitout works. Managed scope creep and eliminated cost overrun by developing a robust business plan and client requirement documentation to thoroughly scope the highly technical requirements. Successfully integrated multiple stakeholders, operational systems, IT service providers, specialist consultants and contractors. Completed in time for the Control room to manage VIVID 2018 on time and within budget. Director of Operations l Transport Management Centre l Transport for NSW. To oversee the co-location and Activity Based Working (ABW) conversion of Operational Systems teams, working closely with change management to integrate a new way of working for staff across multiple properties. The role was to lead the project, develop the key business requirements and ensure they were implemented by property services to client expectations. This involved communicating progress with the Executive team, daily interface with change management, ABW transitioning with all staff, master plan development, weekly reporting on progress and close out of open issues in a prompt matter. Successfully collocated six TfNSW teams consisting of 330 people from multiple sites into 2 main hubs located in Mascot and Redfern over 4500sqm. Overcame significant timing complexities with one building being demolished to make way for the Sydney Metro and integrated critical IT systems and high specification audio visual technology to support Activity Based Working. Successfully relocated all teams into their new location despite significant complexities presented by inter agency conflict. Operational Systems are now 100% ABW. Executive Director l Operational Systems l Transport for NSW. WPP AUNZ (Finance Plus) invited IDPM to Design + Construct a new facility to accommodate approximately 65 staff. The challenge presented was to rescue this project and bring it back within WPP budget without compromising business objectives. IDPM Value Engineered this project and brought it back to life for WPP AUNZ. Through our tendering experience we provided WPP AUNZ with an open book tender solution to come in within budget and reignite this project providing a cost-effective solution for WPP AUNZ. Clearly identified essential business requirements, providing early planning advice, delivery methodology, inhouse interior design and construction management to ensure project objectives were achieved.